Posted on May 24, 2017 at 10:37 am. This feeling of sameness and difference arose for me, too, in the workshop with Dakota elders. Being immersed in their ceremonies and language, I could see how important it is for them to retain tradition, which we as the dominant culture tried to rob them of in the past. And yet through our time of listening and opening together, I felt touched by our closeness in humanity and spirit, in our gratitude for life. The Temple of Light expresses this sameness and difference through offering many doors. Each door represent a unique way in and is to be respected. But when we open the door, where does it lead? What is sacred space and Light? How do we live unity that encompasses respect for uniqueness? This newsletter offers stories of how some people are finding their way – through music, service, learning and teaching. What is your way? And where do you think it leads? 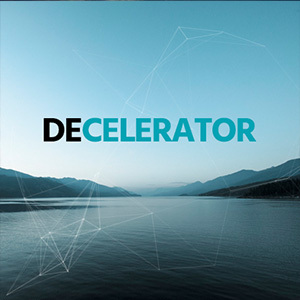 Decelerator is a 5-day retreat that offers you the pause needed to gain a new viewpoint on your life – personally and at work. 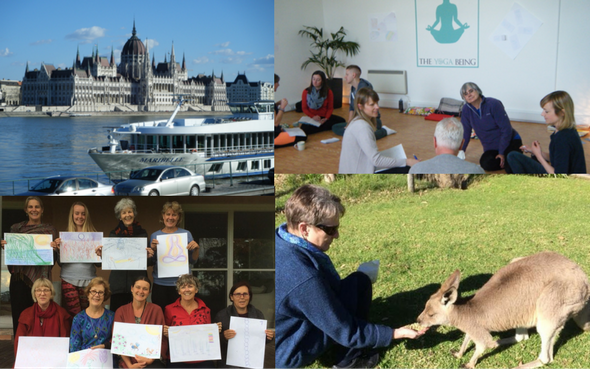 Participants will explore their personal and spiritual landscape using a blend of yogic practices and sessions inspired by design thinking, appreciative inquiry and open systems theory. Where are you now and where do you want to be? Based on an ancient Buddhist practice of self-awareness, the Straight Walk involves several walking meditations done with observation and concentration. You take steps, literally and symbolically, to understand your perception and to gain a new perspective. The chakras of the Kundalini system are considered energy wheels. What are they turning and churning up in your life? How do you want to direct this energy? Through reflection, questioning, study and practice, you can create the life you want to live. How can you tap into a source that inspires and carries you through dark times? Using the power of reflection, find ways to keep hope alive and fulfill your own internal promises. The metaphor of rebuilding the Temple of Light – maintaining the essence while embracing innovation – can be applied at an individual level. Explore your personal blend of resilience, continuity and creativity. What is meaningful in your life? Think deeply about your values and clarify your vision so you can take action on manifesting your dreams. Swami Lalitananda describes the advancing work on the Temple of Light, set for completion in the summer of 2017. Click here to watch. You Are Invited to the Temple of Light Opening! Let’s celebrate together the victory of the new Temple! Join us for this joyous time of honouring sacred space through dance offerings, workshops, special dedications and ceremony. It began with silence. Pahan Pte San Win opened the weekend by guiding us through a cleansing ceremony using sage, a sacred medicine used to purify heart, mind, body and spirit. She then spoke of the connection she has with the Ashram and told the story of her vision of a Sundance of Women. 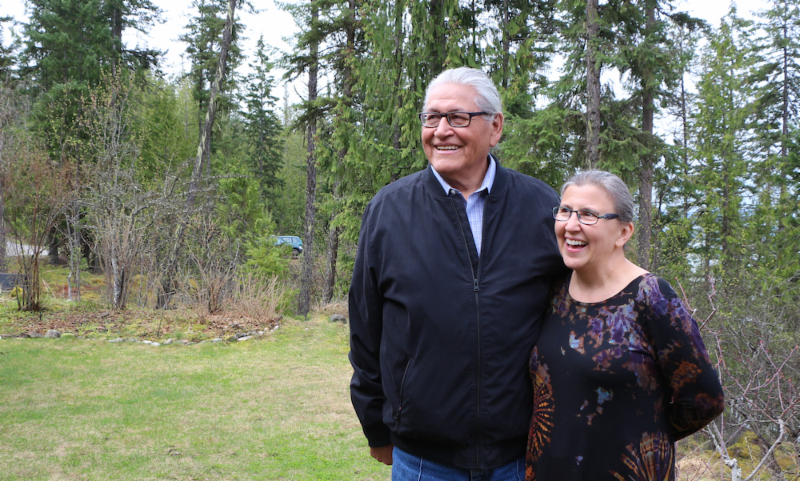 The days that followed were full of stories, song and ceremony offered by Pahan and Wanbdi Wakita of Bear Paw Tipi. The weekend deeply touched all those who took part. Read a collection of their stories here. Bridging traditions, the workshop was a fundraiser for the Sundance of Women, which will be led by Pahan in Manitoba 2017 – 2020. The first Sundance is August 2 – 6, simultaneously with the Ashram’s Temple Celebrations. Email sundance@wanbdiska.ca for more information. 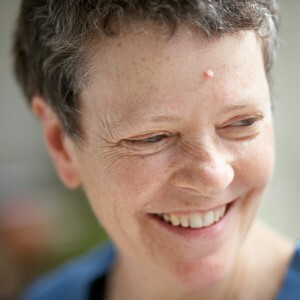 Karen Squires came to Yasodhara Ashram in June 2014. She has taken the Yoga Development Course and all teacher certifications and managed the Hospitality Department. Now at the end of her nearly three-year stay, Karen reflects on her process. My intuition led me to the Ashram at a time when I didn’t know what the next step could be, but I knew I had to immerse myself in yoga. Originally my intention for being here was healing, and then I realized it was about joy and wholeness. In one early workshop I reflected on how I felt like a star that had exploded into different pieces and I needed to bring them all back together. 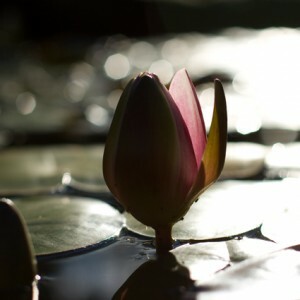 I can feel that wholeness now – I’ve grown up or become wiser. Part of that wisdom is acceptance of what happens in life. When I first came here I had the illusion that when you choose a spiritual path everything will be light and lovely and wonderful. My father passed away at the beginning of the year and I’ve found there’s a tremendous gift when I access my sense of faith within the process of dipping up and down with life’s waves. I look back at the steps that brought me here and the changes I’ve made. They weren’t easy and I felt like I was being pushed into the void, but I just knew it was what I needed. Even if it feels hard, I understand how important it is to muster up the courage to follow my intuitive voice. I’m in such a place of awe and gratitude to the residents and swamis. If they hadn’t taken their steps and kept their promises, this space wouldn’t have been here for me when I needed it. 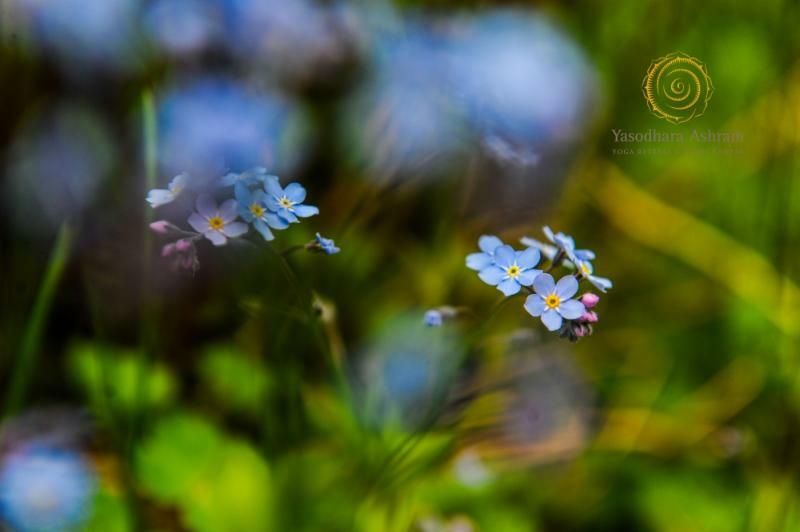 Seeing people discover how life-changing the Ashram can be is like witnessing a miracle, and part of that is knowing there are teachers all over the world introducing people to Yasodhara Yoga. Having a role in that web of interconnection is really beautiful. About 30 students from the Nelson Waldorf School and Kugluktuk High School (KHS) in Nunavut came to the Ashram for a day-trip in April as part of a school exchange program. KHS teachers Liam Clarke and Danielle Scarlett brought 14 students to Nelson for a week. Liam, originally from England, talks about his experience. Coming to the Ashram is a huge learning opportunity for us teachers and students alike. “Ashram” is a word that most of the students from Nunavut had probably never heard before. Being able to actually come here solidifies the learning in a way that being up North and talking about an Ashram never could. We’ve been having conversations about incorporating yoga and mindfulness into our school. Having some of the students here experiencing it means they can spread the word of what it’s like with their friends since most of them had never done hatha before. As well as coming to the Ashram, during our week in Nelson we visited the Sinixt people, had a scavenger hunt around Nelson and experienced a day in the life of a Waldorf student, including a sleepover at the school. 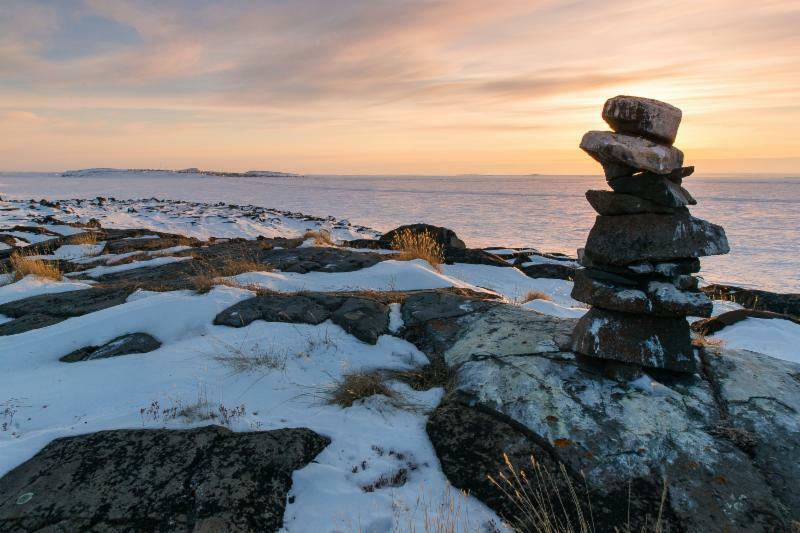 Amidst minus 58 degree weather, about 15 students from the Nelson School came up to us in February and got to experience igloo building, animal skinning, Inuit stories, sledding and Inuit arctic games. Unfortunately it was too cold to take them ice fishing. Teaching in Nunavut has been an incredibly rich experience. With 24 hours of darkness and then 24 hours of light, the Northern Lights and minus 65 degree weather, it’s a different world. For the students to experience an exchange with such completely different backgrounds and cultures is quite something. They’ve made friendships that I can see lasting for years. That in itself is a powerful thing. Patricia Young, Esther Oga and Chuck McNab completed the Yoga Development Course (YDC) in April 2017. As recent graduates and Yasodhara Yoga teachers, they reflect on their process. Chuck McNab has lived at the Ashram since 2014. He says “Taking the YDC and certifying as a Hatha Yoga instructor was my next step. Becoming a teacher is something I wanted to do for my future. I want to be able to give back to other people in my position. I have found, as a recovering addict, that yoga and the practices we do here have really helped me and I know they will help other people, too.” Chuck recently completed his Adult Graduation Diploma and was named Rookie Firefighter of the Year by the Riondel volunteer Fire Department. He plans on continuing his training as a volunteer firefighter and is considering more training at Selkirk College. Patricia says, “I first took the YDC in 1994. Now, I’m in a different place in my life. Things like my career and other attachments are behind me. I’m much more relaxed about letting go and more willing to look at myself. I was more honest in this YDC because I can see myself more clearly than I could 20 years ago. When I left then, I knew it was just the beginning. 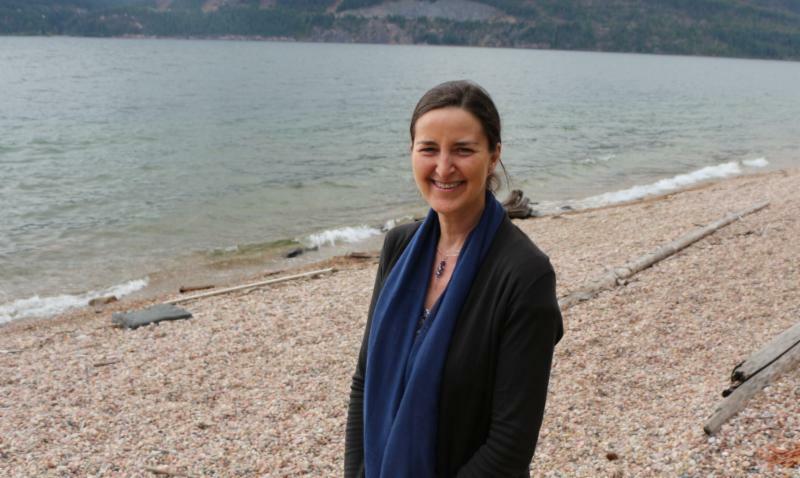 I highly recommend taking the YDC more than once.” Patricia is staying on for five months at the Ashram to offer Karma Yoga, an option available to all YDC graduates. Swami Sukhananda and Swami Samayananda recently returned from Outreach tours where they shared the teachings with groups across Europe and Australia. They reflect on their experiences. 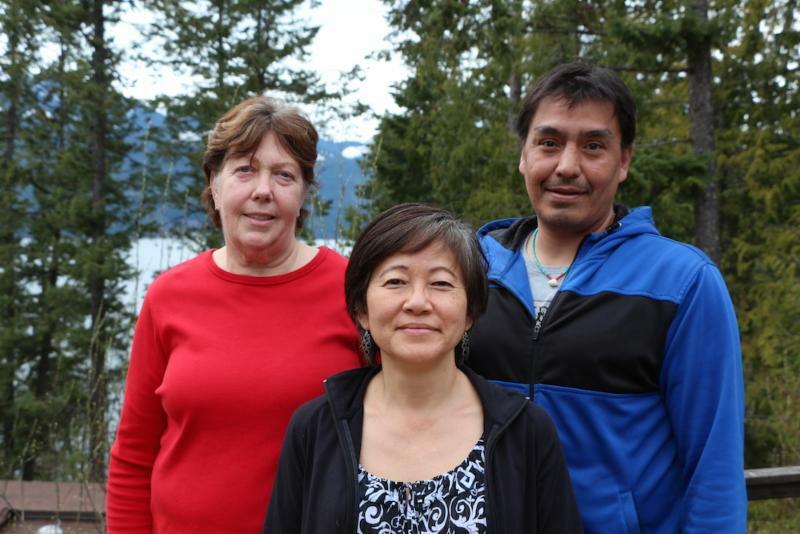 Our spring Outreach wraps up in the Okanagan and Vancouver Island this month. Watch for our Eastern Outreach this fall to Calgary, Edmonton, Montreal, Halifax, Toronto, Ottawa plus a weekend retreat in Brighton. 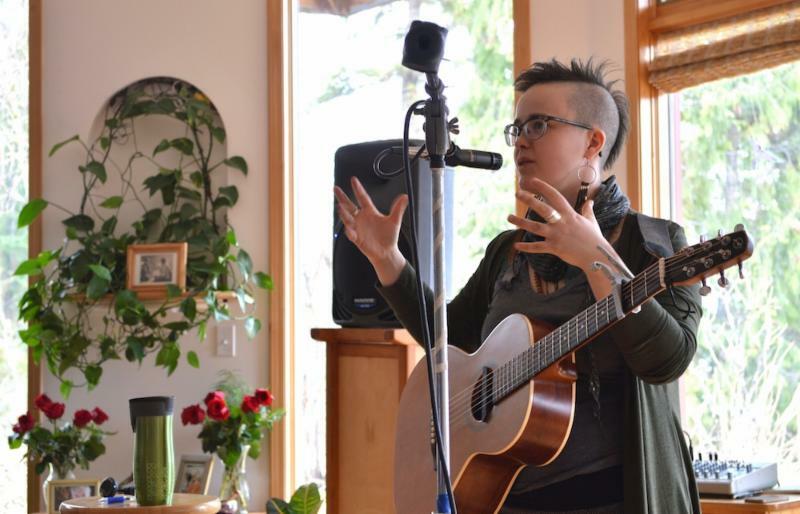 Classically trained musician, songwriter and performer Raine Hamilton first heard about the Ashram’s Artist and Profession Retreats from her mother. Raine explains how her experience became a touchstone for herself. When I arrived at the Ashram I phoned my Mom and said, “I get it – I’m normal here!” It has felt lovely to have a sense of belonging among peers in a community where a spiritual way of life, introspection and exploration are celebrated. It was important for me to come here now because I have been working really hard lately. Being an independent artist full time is wonderful – it’s my life’s work and it’s hard and good. I need time when I can step out of the rigor of that world – out of the busyness and the demands of my life – and be able to rest deeply. My music feels like a bridge or passageway to somewhere that is not easily traversed. It is a way into a part of myself or my growth that is difficult to reach. It’s where I want to go! Being gifted a song or a seed of a song is amazing. I feel strongly that I am a steward of these gifts and I feel responsible for them, that it is part of a sacred process. It’s important to recognize, value and do right by it. The Creek Cabin Song, which is reflective of my experience here. I spent a lot of time in reflection and just sitting with my experience of being a physical being and a spiritual being at once. This was such a beautiful space to be in. I wove all these bits together into the song. I respect how this community walks its talk and how welcomed I was. I would love to come back! Maiya Irvine spent seven months at the Ashram as a Hospitality Learning Resident. Freshly graduated from high school, she came to the Ashram from across the country to learn about herself through living in a spiritual community. She reflects on her experience. When I first applied I really didn’t know what I was getting into, but I’m so glad listened to my intuition and took that leap of faith. I feel how much I love this place in every cell of my being – how much it’s become home. Before coming to the Ashram my relationship with cleaning was not so pleasant. I’d had different work environments that left me with a lot of resentment, so I was a little nervous coming since I knew that as a Hospitality Learning Resident I would be cleaning and taking care of the spaces in the Ashram. As I worked with my resistance, I started to see how every action contributes to the broader scope of making sacred space, whether it’s preparing the tissue boxes just right, or placing the towels perfectly. Our prayer flags are unique to Yasodhara Ashram. 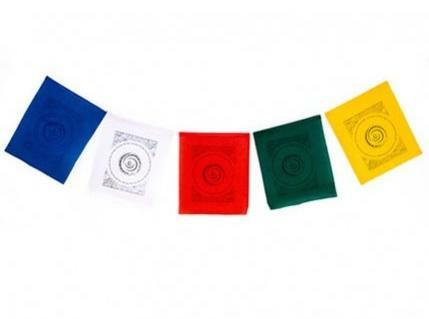 Each different coloured flap represents one of the mantras we practise: the Divine Mother Prayer, Hari Om, Om Tara Tuttare, Divine Light Invocation, Om Namah Sivaya. Let the air currents carry these sacred messages! 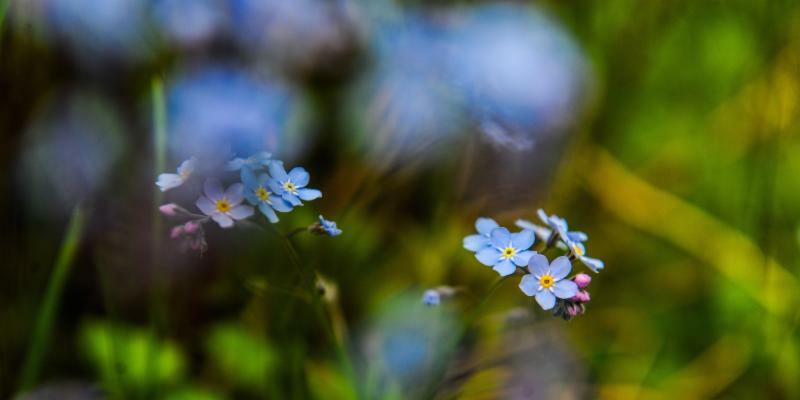 Spring into Song – An inspiring and fun event recently took place at Yasodhara Ashram called “Spring into Song.” Local musicians recently came together with a new intergenerational choir with a range of 5 to 80 years of age. Proceeds from the concert went toward rebuilding the Temple of Light. The whole community turned out to enjoy this special event. See photos on our Facebook page. 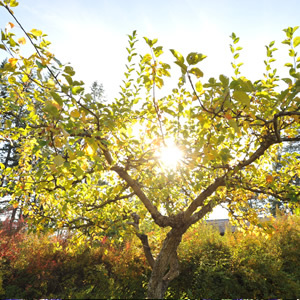 Committed to Renewable Energy – As part of the Nelson Interfaith Climate Action collaborative, the Ashram has committed to transitioning to 100% renewable energy no later than 2050. Read more. Retreat to Yasodhara Heights – Come to the Ashram and stay in your own fully functional cabin above Riondel Road. Participate in Karma Yoga and take advantage of your own kitchen, or eat meals at the Ashram. Click here for more details. Year in Review – Our Annual General Meeting took place at the beginning of May. The community gathered with the Yasodhara Ashram Society, Friends of Radha Foundation and the Association for the Development of Human Potential to discuss 2016. See photos on our Facebook page. Strawberries & Celebrations – This year’s Strawberry Social will take place on June 24 from 1 – 4 pm. 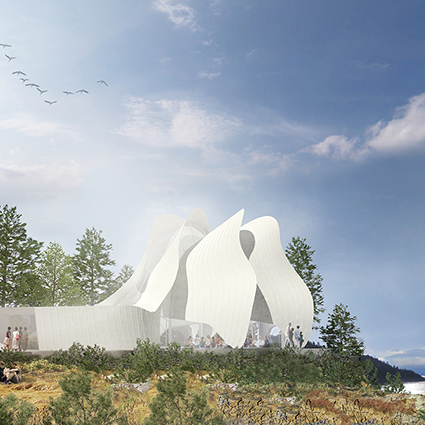 We’re celebrating the new Temple with our Kootenay Lake community with thanks to the contractors and suppliers, many of whom are local.